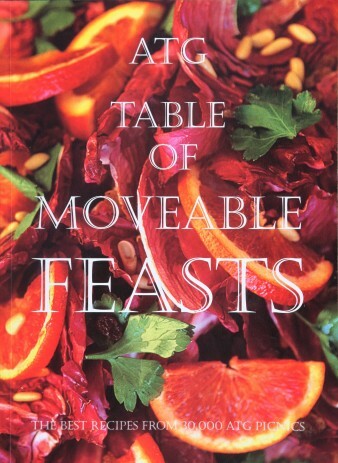 ATG’s Table of Moveable Feasts comprises 51 of the best recipes from tens of thousands of ATG picnic lunches. Recipes were submitted by our Tour Managers and each one tested by the ATG office staff and rated for taste, simplicity and presentation. The book contains only those that made the grade on all counts. There are a wide variety of salads – leafy, substantial, fruity, dips. All are very easy to make, consist of easy to source ingredients, and are delicious. You do not need cooking skills to create a fabulous result! On ATG’s Escorted trips these are the sort of dishes you would find at the picnic lunches, but many work just as well for dinner. All proceeds from the book go to the ATG Trust . Price includes postage and packaging.